Hello! Thanks for thinking of applying to Wellesley. Each year we accept a small number of transfer students for entrance in September or January. As a transfer student, you’re integrated into an existing class and have the same opportunities and privileges as your classmates, including financial aid and guaranteed housing. In order to receive a Wellesley College degree as a transfer student, you must complete at least two years (16 units) of coursework at the College. We invite you to consider an interview as part of your application process. Interviews are recommended but not required. Learn more about scheduling an on- or off-campus interview. If you have questions, start with our transfer FAQ. If that doesn’t work, please reach out. We’re here to help! Who can apply as a transfer student? The Board of Admission expects to see at least two full semesters of course work completed at another college or university for transfers. Therefore, only incoming sophomores and juniors are eligible to apply. If you’re 24 or older, or a mother or U.S. veteran, see our Davis Degree Program for nontraditional-age students. Transfer students may have attended accredited four- or two-year private or public U.S. institutions. Note: International students who are attending U.S. institutions and are seeking financial aid may apply only for fall entrance. 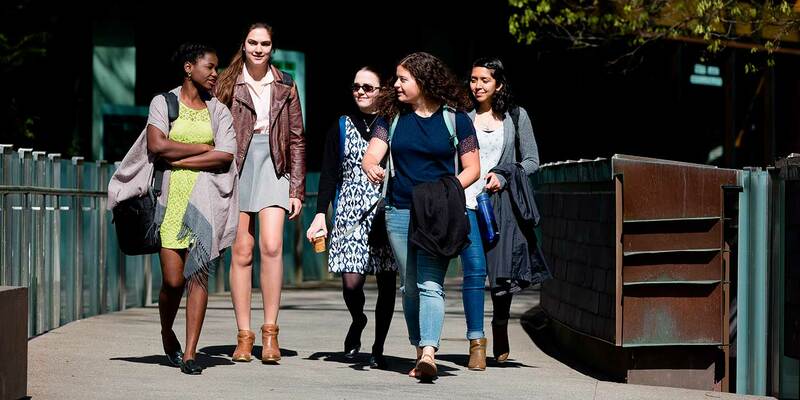 Wellesley admits transfer students from U.S. colleges and universities only. Any student who wishes to apply from an international college or university must apply as a first-year student, not as a transfer student. See first-year students and financial aid for international students. From there, use our application instructions to keep track of the materials you need to submit. An introduction to Wellesley in roughly 150 seconds.